Lyn Brown, MP for West Ham in Newham, east London, was in the shadow home affairs team when Jeremy Corbyn was first elected leader of the Labour Party, she then resigned a year later after placing a vote of no confidence in Corbyn’s leadership but then was allowed to return as shadow minister for policing. 24 hours before the general election in June 2017, she was promoted to shadow Home Secretary as Diane Abbott was taken ill.
Focus E15 Campaign has had first-hand experience of her consistent attempts to dodge responsibility towards young mothers in her constituency who faced being socially cleansed out of London. We therefore register a massive vote of no confidence in the decision to promote her. Lyn Brown, MP for West Ham since 2005, was the local MP for the young mothers in the Focus E15 hostel. 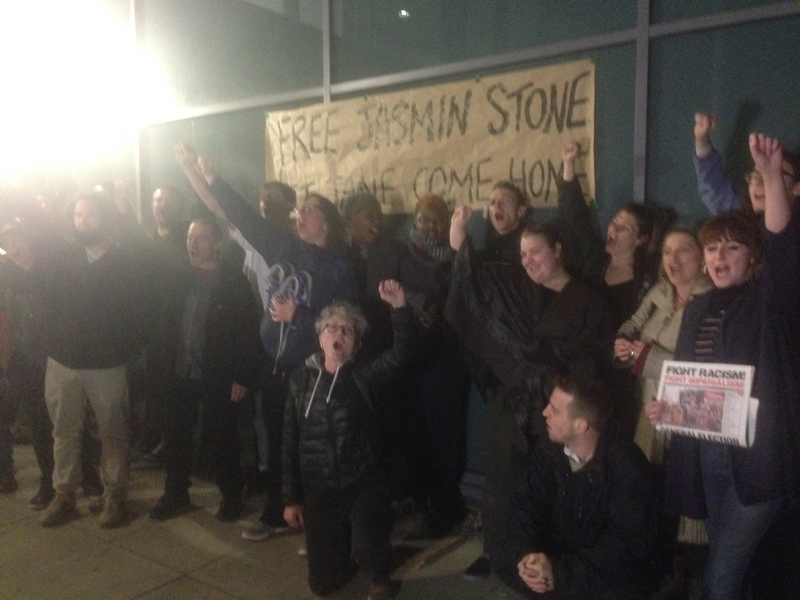 The mothers started campaigning in 2013 when Newham Labour Council withdrew funding from the hostel and the housing association tried to evict 29 young women and children out of London, to Manchester, Birmingham or Hastings, miles from family, friends and support networks…Lyn Brown did nothing to support the mothers and challenge social cleansing. The council’s solution was to push these young women into short-term expensive private-rented accommodation. Lyn Brown continued to ignore the problems despite meeting those directly affected at her surgery and at public meetings. When approached at an International Women’s Day event in 2014, she accused the young mothers of being exploited by the campaign and tried to stop an independent journalist filming her. A year later, she offered a washing machine and a bed to two of the mothers in dire housing situations – empty promises that never materialised. If Lyn Brown won’t represent the most marginalised in her own constituency, then we know what her positions will be in government or in opposition as home secretary. Below is Focus E15’s response to yesterday’s Homes for Britain rally in Westminster. Yesterday there were two rallies to end the housing crisis. One was in Westminster led by Labour, Conservative, Lib Dem, Greens and of course Nigel Farage and his UKIP party – a rally hastily called before the party scramble for the upcoming election. 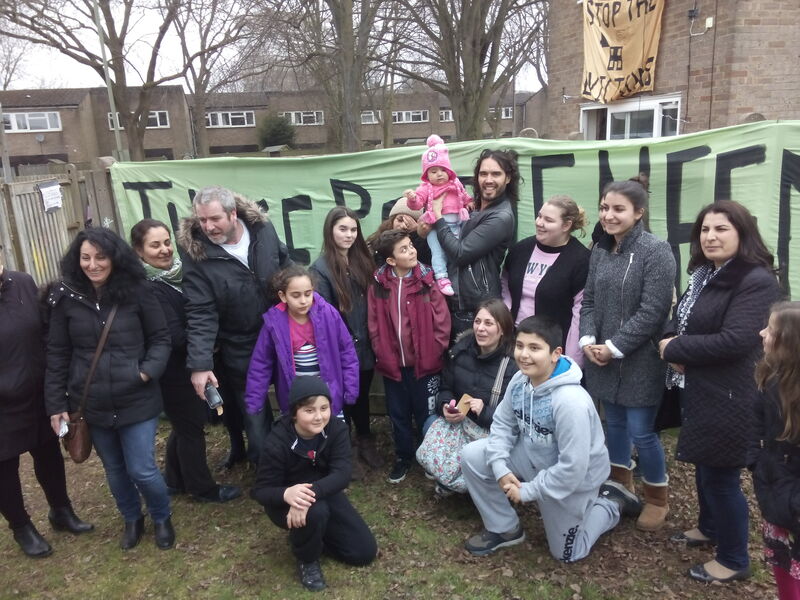 The other was in an estate in Barnet where hundreds of members and supporters of grassroots campaigns came out to fight for the Sweets Way Estate, debated housing and opened up 2 more homes for residents to re-occupy. ‘Homes for Britain’ had contacted Focus E15 campaign not to speak on their rally alongside these parties, but to ‘borrow’ one of our banners. We do not exist to legitimise false campaigns. These demonstrations represent two different fights in Britain – the fight being led by those who already have a voice and the fight being led by those who don’t. The Focus E15 Campaign call on people not to vote for any party which has pledged to continue austerity. This fight will not begin and end with a few broken pledges in parliament, with a few choice words spoken at a rally in Westminster. It has already begun with the Sweets Way Estate, Focus E15 Campaign, with New Era, Our West Hendon, The Aylesbury Estate and many more. The fight will continue with every eviction resisted and petition created, house occupied and banner made. It will be led by those directly affected and it will win.